I am very sure Filipino Blackjacks had a blast on last Saturday night’s concert! Korean girl group 2NE1 graced the stage of the Mall of Asia Arena on May 17, performing their top hits for their fans here in the Philippines. The concert was one hell of a party! It was oozing with girl power! Since most of the songs of 2NE1 are danceable, everyone was jumping up and down their seats! They performed a total of 21 songs in the concert (well played number =)) ). They did rock versions and unplugged variations of their hits. Dara’s abs was an eye-catcher. I mean she already had a perfect face but she also was able to sport a nice body! Talk about perfection! I loooove her! I love CL’s makeup during the concert! The cat eyes and red lipstick did the trick! 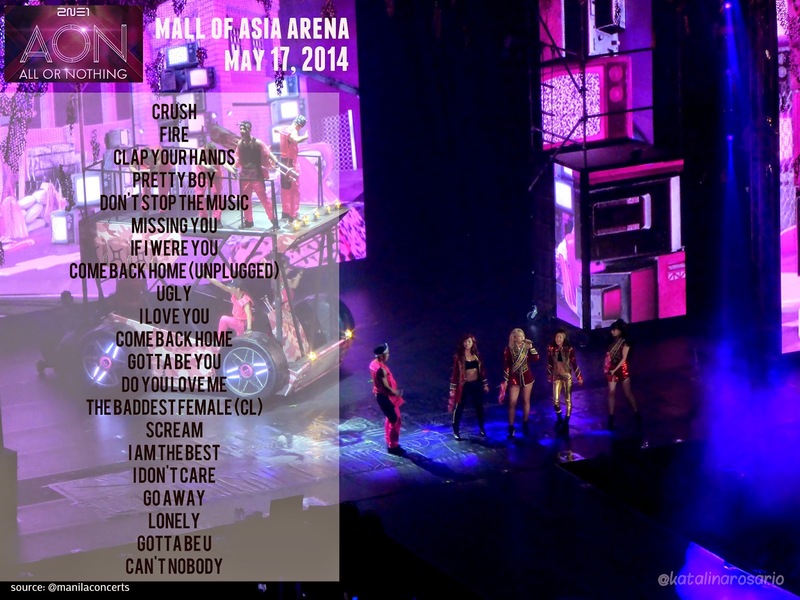 Thanks to the huge efforts of the group’s local fan club 2NE1PH, this concert became extra special to us. We can see that their clappers (which is part of their project) were all over the arena (though my sister and I didn’t get one, perhaps because we arrived late, and uhm I think ours were taken by others already). Their fan projects (most of them) were a success! 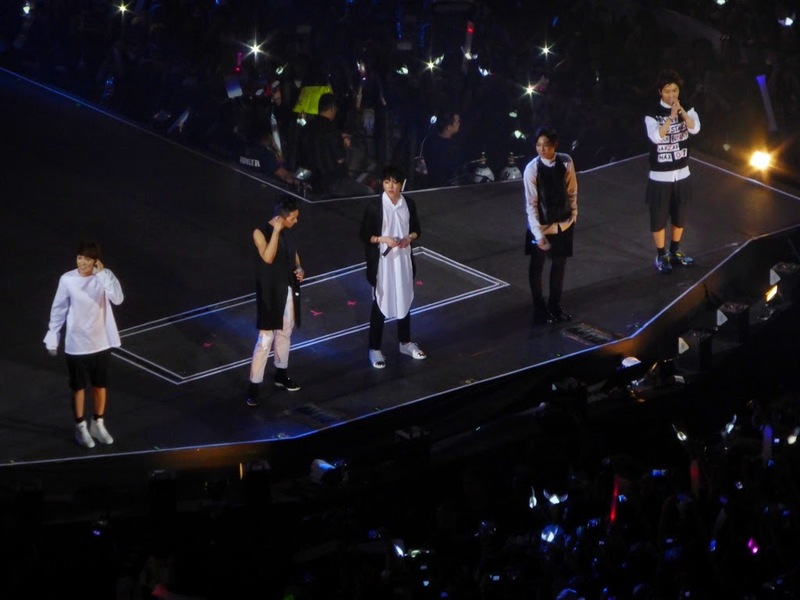 Winner, a boyband group under YG, was also in the concert. They performed a handful of songs to the delight of their fans. Some local actors also went up the stage as special guests during their ‘I Love You’ lap dance performance. Dara’s humility is very much heartfelt throughout her stay in the country to do promotions for the concert. She went to the Philippines a few days ahead of the other members to do guestings and appearances in local shows. She still was in touch with her Filipino celebrity friends and we saw their interactions on TV and on social media accounts online. It’s really amazing that after achieving superstar status and worldwide fame, she still looks back to the place where all of it started. She still considers ABS-CBN (the local TV station where she became a talent) as her ‘playground’. Check more photos from the concert below!